Browse > Home / Business strategy, Facebook, Feature, Google, Search quality / Facebook, Google, and Evil: Standard Operating Procedure? Facebook, Google, and Evil: Standard Operating Procedure? One of the most over-used and little-understood words attached to online is “evil.” Long before Google, I was in a meeting at which ABI/INFORM announced per online type pricing. I think the person who described the decision to charge $0.25 per online type for Format 5 on Dialog was Martha Williams, one of the stalwarts of the online industry and a respected figure at the University of Illinois science and engineering libraries. morally wrong or bad; immoral; wicked: evil deeds; an evil life. characterized or accompanied by misfortune or suffering;unfortunate; disastrous: to be fallen on evil days. that which is evil; evil quality, intention, or conduct: to choose the lesser of two evils. harm; mischief; misfortune: to wish one evil. Like many words in every day use, evil can denote or connote different shades of meaning. I thought about these 10 definitions after I read “Facebook to Google: Don’t Be Evil, Focus on the User.” The write up presents a respected real journalist’s report about information exchanged in a meeting. The main point of the write up describes a way to make Google work the way it did before the social bonus program kicked in and the Google Plus avalanche rumbled down the roof of the Googleplex. It’d be interesting if millions of people adopted the tool, however I don’t think that’s the point. A story such as this is tailor made for the Techmeme leader board, to be sure, and will no doubt be the talk of the Valley today. By tonight, the story most likely will go national, and that can’t help Google’s image. And I’m quite sure the folks at Facebook, Twitter, and others (think LinkedIn, Yahoo, etc) are making sure word of this exemplar reaches the right folks at the Federal Trade Commission, the Department of Justice, Congress, and government agencies around the world. My take is that the new Google-Facebook dust up is going to be intermediated and probably infused with oxygen by some Silicon Valley professionals. That’s okay because I think there are both business and technical reasons for Google and Facebook to square off. Among those reasons are ego and money. Google took a punch to the snoot with its softening advertising revenues. Facebook needs to be perceived as pre-eminent because of the initial public offering and the money. Hmmm. The common factor is money. With online coalescing to monopolies, companies are not content to their gardens. Outfits like Facebook and Google see potential revenue growth via encroachment, me-too plays, and other all-American business methods. When I think back to those freshman philosophy classes or talks at lunch with mom-free intellects in the university union, evil becomes fuzzy. The proper term may well be “relative.” Companies in online have little choice but fight hard in online. Once a gap in a service is discerned, competitors can use that opening to siphon off money. What behavior is evil? Is it helping legal eagles in the US government take action against an alleged Google monopolistic method? Is it hiring staff from another company and then doing whatever it takes to tap into those employees’ knowledge to gain an advantage? Is it encouraging consultants and real journalists to write about a topic from a particular point of view? Is it stacking the deck so the user believes one thing about the service operator while the service operator taps into the flow of information to generate money? My suggestion is to recognize that online at this time is mostly an ethics-free zone. What appears online often lacks context, can be difficult to verify, and is malleable. Evil in online is often necessity limited only by the consequences of taking a step too far. Right now anything goes. That more than the actions of a commercial enterprise managed by young billionaires defines a danger zone. 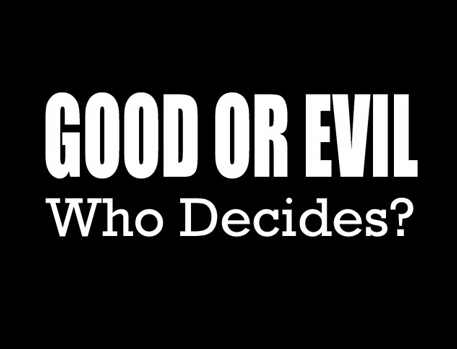 Who decides what is good or evil? Consultants, real journalists, billionaires, lobbyists, or governmental entities? I know I don’t make this type of distinction. Waste of time.